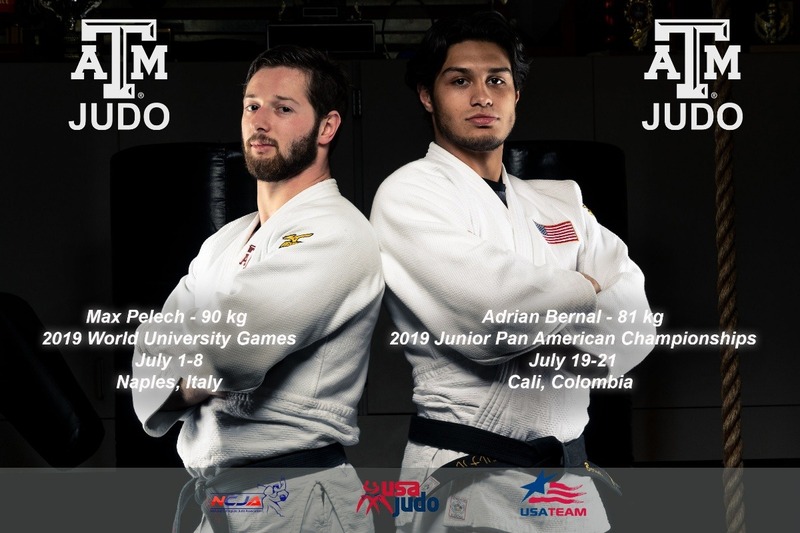 Texas A&M Judo members are representing the USA at Summer International tournaments. Senior, Max Pelech '19, has qualified for the 2019 World University Games in Naples, Italy. The Universiade also known as the World University Games is an international multi-sport event organized for university athletes by the International University Sports Federation (FISU). The Universiade is staged every two years in a different city around the world, representing both winter and summer competitions and is second only in importance to the Olympic Games. The judo competition dates are July 4-7. Max needs to arrive no later than July 2. Sophomore, Adrian Bernal '21, qualified for his 2nd Junior Pan American Championships. The 2019 Junior Pan American Championships is in Cali, Colombia. He won a bronze at the 2018 Jr Pan Am Championships. The 2019 Junior Pan Am Championships competition dates are July 20-21. Adrian needs to arrive no later than July 18. Due to limited funds from the NCJA and USA Judo, individuals competing must cover the majority of the expenses. Make a note if the contribution is for Max, Adrian or both.